Quebec City, September 5th, 2016 – The 21st edition of the Envol et Macadam festival will be starting this Thursday! Presented in collaboration with Tremblay beer, the event promises to provide alternative music fans with a generous dose of decibels. Music lovers will gather in great number at l’Ilôt Fleurie park underneath the Dufferin-Montmorency highway overpasses, as well as in different Quebec City venues (Le Complexe Méduse, L’Anti, La Source de la Martinière, Scanner Bistro, Le Knock-Out and Le Cercle) where various concerts will be held throughout the festival. Punk rock fans will be delighted by the presence of several of the genre’s leading figures. Indeed, this year’s festival will feature American bands Bad Religion, Me First and the Gimme Gimmes and Mad Caddies. Montreal bands The Sainte Catherines, Grimskunk, as well as the Albertan band SNFU will also be playing this year, alongside various local bands. 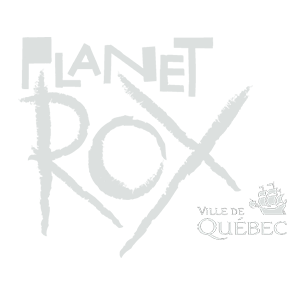 In addition, thanks to the PLANETROX project, festivalgoers will be able to discover the best international emerging bands from 10 different countries as they perform in Quebec City for the occasion. Finally, electronic music fans will also be partaking in this year’s festivities, as a stage entirely dedicated to the genre will be inaugurated. Toronto DJ and producer D-Unity will be headlining this stage that will also feature various well-known artists from Quebec City’s electronic music scene. Another nice surprise is being announced today, just a few days before the festival begins: on Saturday, September 10th from 5 to 7pm at L’Anti, the festival will be holding a Meet and Greet with none other than Me First and the Gimme Gimmes’ singer and guitarist Joey Cape and Spike Slawson. The two musicians will offer an acoustic performance of a few of their songs, and free hot dogs will be available to the audience on the terrace. This festive gathering, which is open to all, is presented in collaboration with the Exo shop and is sure to be very popular among fans of the renowned Californian band. As Envol et Macadam has always strived to offer audiences a high-quality experience, a greater selection of food vendors will be present this year at l’Îlot Fleurie park. Indeed, street food is making its entrance into the festival this year with five food stands, including three food trucks that will be setting up shop in order to satisfy festivalgoer’s hunger. Citizens of the Saint-Roch neighbourhood will also be able to take advantage of this culinary initiative on Friday and Saturday, as entrance into the site will be free between noon and 5pm, thus giving the public the chance to sample the creations of La Shop – Cuisine de rue, Les Recettes Paumées, Le Gourmet Acadien, La Bécane à Bouffe and Sushi Nicky. Passes and day tickets are currently on sale and many different options are available to satisfy the needs of all festivalgoers. They may be procured via lepointdevente.com, at the Exo shop (260 rue Saint-Joseph Est, Quebec City) and on Envol et Macadam’s website. It will also be possible to purchase tickets during the festival: at l’îlot Fleurie park and at Le Complexe Méduse on Thursday, September 8th between 5pm and 9pm; at l’Îlot Fleurie park on Friday, September 9th between noon and the site’s closure, and Saturday, September 10th starting at 10:30am. All information regarding the festival is available at envoletmacadam.com and a mobile app is also available (iOS / Android). By downloading it, you will be able to view the festival’s detailed programming at all times and you may also create your own personalized schedule of concerts that you wish to see!